Ben Soundscape started out in the drum & bass scene at the tender age of 17, producing his first break beat at school. He remembers becoming hooked on drum & bass when he first ventured out to a nightclub with friends in Bristol. It was around that time he started listening to Fabio & Grooverider’s seminal Radio 1 show, and got the itch to get into serious production. Danny C was the first to notice Ben, signing him up for debut release on his fledgling Blue Box label when Ben was just 19. Soon after, Ben formed a duo with childhood friend Joe Wills, who were first known as Blu Note and Fresh Jay, later becoming The Insiders. Together they would draw influences from everything from soul, funk and jazz to blues and film soundtracks, and go on to release material on some of the greatest labels in the scene. So far in his career, Ben has produced tracks for Creative Source, Renegade Recordings, Metalheadz, 31 Records, Frontline, Defunked, Nu Directions, Good Looking Records (as Catch 22) and Blue Box (as First Light). Ben was the driving force behind Intrigue, the club night, started a decade ago at an intimate sweatbox in Bristol. 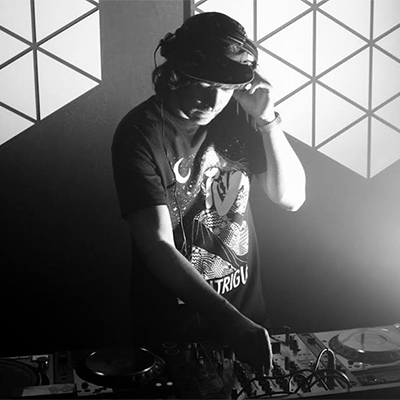 His vision was inspired by the Swerve nights in London – quality, forward thinking music in a small club. A great atmosphere, tight soundsystem and an up-for-it crowd were important qualities he had to build toward for years. Fast forward to ten years later, and the night has gone from strength to strength, attracting big guests and sell-out numbers to Dojo Lounge every other month. In 2009 Ben began the natural progression for Intrigue – his very own label Intrigue Music, which would be an outlet for deep drum & bass from both rising stars and established artists. With the quality of music the label continues to release, it’s no wonder Intrigue Music attracts major attention and support from both DJs, drum & bss heads and the press alike. Look out for new collaborations due out later this year.